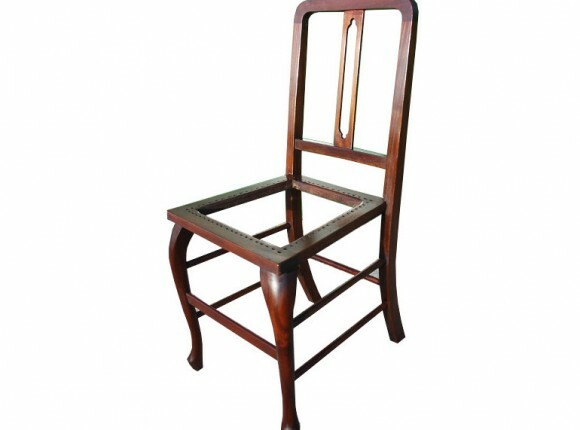 Since the 1870’s a manufactured type of caning has been used in seat frames. The cane strips are woven into panels. These panels are soaked and then tampered into a groove in the seat frame. Once damaged they cannot be repaired but will require the old panel to be removed and the groove cleaned out and a new sheet fitted and secured with a reed spline . I can undertake these repairs. 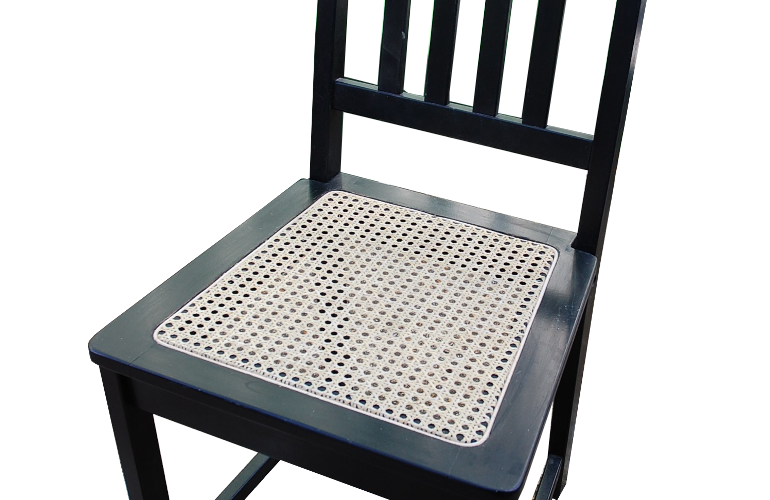 An example of a finished chair is shown This required particular care as the finish was a modern black foil. This delightful chair had been caned but that was damaged and the client required it to be re-caned. The surface finish was however very poor and it was decided to strip that off and to refinish it. The result looked great and it was then sent off for the caning.